ACT 5: THIS TIME IT’S INTERGALACTIC. 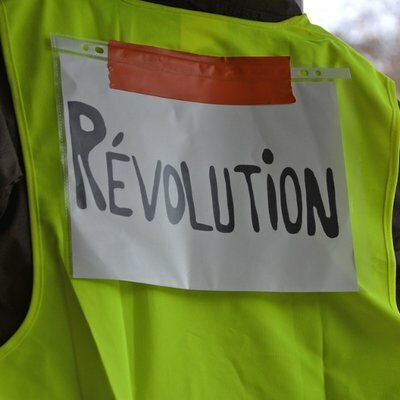 A call out from the gilets jaunes (yellow vests), for solidarity actions everywhere. On Saturday the 15th of December 2018. It began as anger against neoliberal climate policies, a revolt against unfair petrol taxes that pass on the cost to working people rather than the rich and the very multinationals most responsible for polluting our planet. Now four weeks later, it has become a popular uprising for dignity, a rebellion against the elite and their world, a cry for equality. 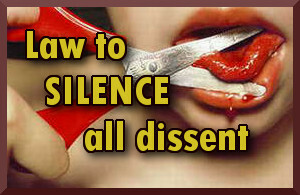 It has evolved into a powerful refusal of representation, of spokes people, political parties and unions. We have all been overtaken by what has been happening, everyone hasbecome more than themselves; because we are impossible to define, the only code we have is a colour code, all the other codes are broken. We are too diverse and decentralized to be called a movement, too different to be categorized, let’s simply say we are an uprising ! 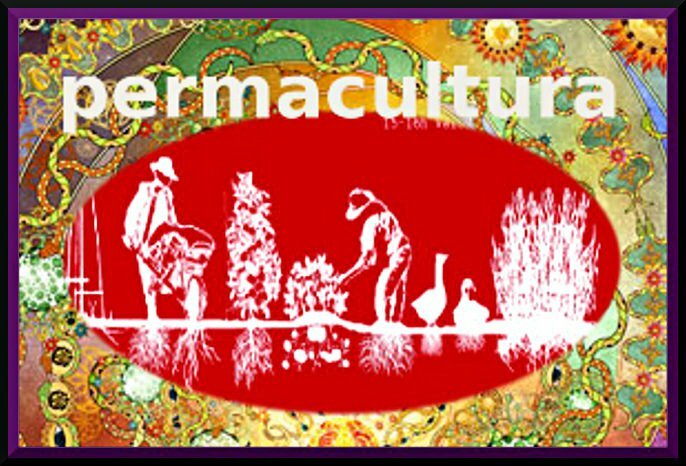 Some in Europe have tried to turn this into an emblem of ideas from the extreme right, attempting to instrumentalise our heterogenity.. The yellow vests was at first a piece of road safety equipment, now it become an unprecedented event which opens up the fault line that charts our future, a chasm we must bridge, between social and environmental justice. It invites us all to make a choice between the political classes and the people,between closing borders and opening possibilities, between despair and hope. This Saturday 15th of December, will be a key moment, ACT 5. Each Saturday has been called an act, an acknowledgment that the most beautiful popular theatre takes place in the streets, when we are dressed in costumes of fluorescent yellow, swarming like disobedient bees. During the week days, our call has been to block the flow of the economy – roads, oil refineries, factories etc. Already the minister of the economy is saying that more than 10 billion euros have been lost and that France’s economic growth will be affected. Every Saturday the instruction is to shut down consumption – supermarkets and malls – and to gather around symbols of state power – the president’s palace in Paris and the prefectures in the regions. 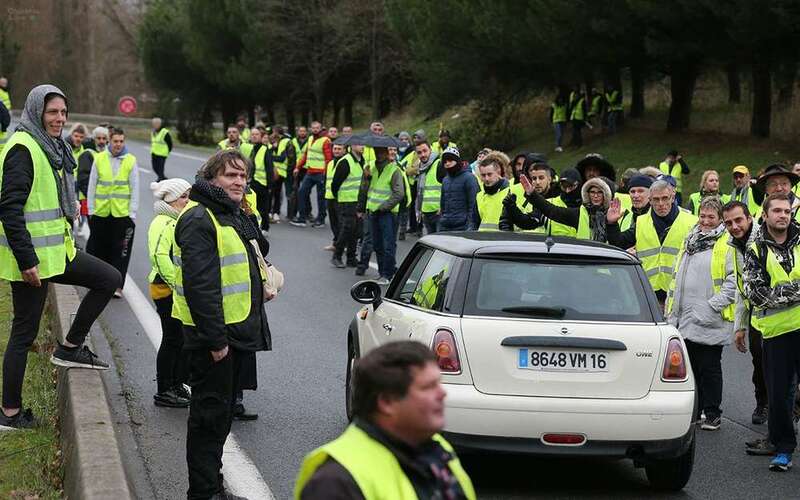 Whilst all the world’s cameras have been focused on the capital’s Champs-Elysee, our swarm of yellow vests does not come from the metropolises, but from the forgotten peripheries, and the uprising continues with blockades in villages and towns up and down the country. Those of us who cannot spend our days and nights in the makeshift cabins that have popped up on occupied roundabouts, or join those shutting down motorway toll gates, bring cakes, palettes for firewood, hot morning coffee or legal advice to those who have never disobeyed a law before. In theatre, Act 5 is the final one, it either ends with catastrophe or victory. 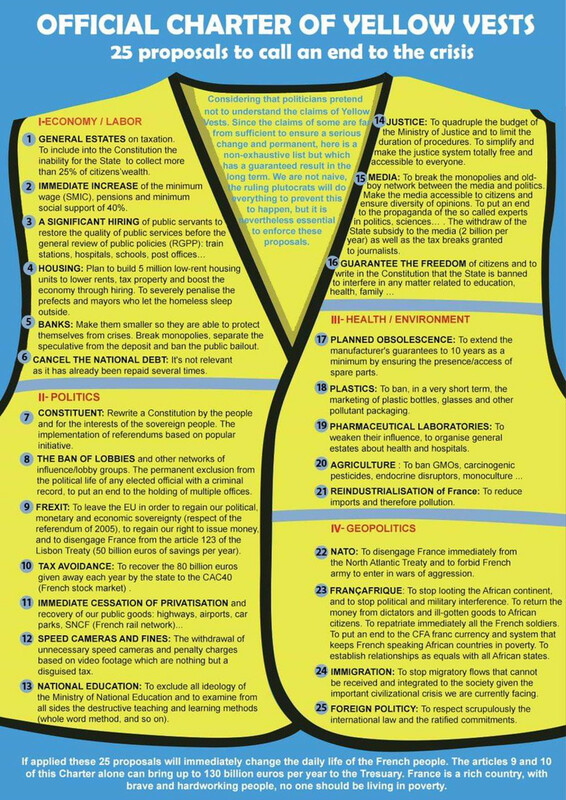 This Saturday the future of this rebellion is in the balance, this is why we are calling on you, across the world and beyond, to join us, to put on your yellow vests and take action in solidarity. In the past, France has already provided the spark that set light to the powder keg of history, and today’s sparks needs the breath from afar to keep it alight. This Saturday we need to show that Act 5 is not the last one and that we are still writing the script and becoming actors of our own lives. In the lead up to Act 4, last Saturday (8th December), the French state tried to put out the fire with the weapon of fear, “people are going to come with guns…they are ready to kill” the Minister of Interior told the cameras. He announced France’s biggest police mobilisation since May 68 – 89,0000 officers across the country, twelve armored vehicles in Paris, helicopters firing tear gas, water cannons. “The republic is safe” he reassured the nation. Then they began to arrest and humiliate high school students rising up against the reform of the school system and people who had made call outs on social media networks which have been the lifeblood of this uprising. But it did not work, we did not stay at home, tens of thousands of us came out for Act 4, and continued to call for Macron’s destitution. 1700 of us were arrested (hundreds as preventative arrests), over 200 injured, some journalists stopped from doing their work by the police and riots breaking out in several cities. The elite, and their live TV channels are dumb struck, they try to label, to understand, they search for spokes people, a representative, clear demands. But they are looking for the old world, we are making the new one. Their greatest fear is that despite their attempts to split us, to claim we are far right, or far left, ‘violent hooligans’, ‘professionals of chaos’, the population remains with us, 72 percent, whilst only 18 percent are in favor of Macron, according to recent polls. 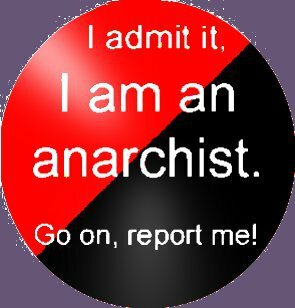 To their ridiculous fantasy labels, many of us reply we are simply revolutionaries, we are those who were once nothing in the eyes of power, and now make it tremble. On Monday night, President Macron, whose deep contempt has poured fuel on the fire, broke his aloof silence, 23 million watched him live as he tried do fein authority and calm the anger. He promised things he had promised never to fold on two days earlier: a small raise in minimum wage, no tax on overtime. Huddling around a bonfire in the middle of a roundabout, one of us reminded everyone about the force of friendship we have made this month, “We meet, we kiss. Our silence killed us.” he says “We’ve been silent too long. We were invisible. Yellow saved us.” Meanwhile scrawled on the walls and chanted everywhere are the words “we do not just want to survive, but to live”. 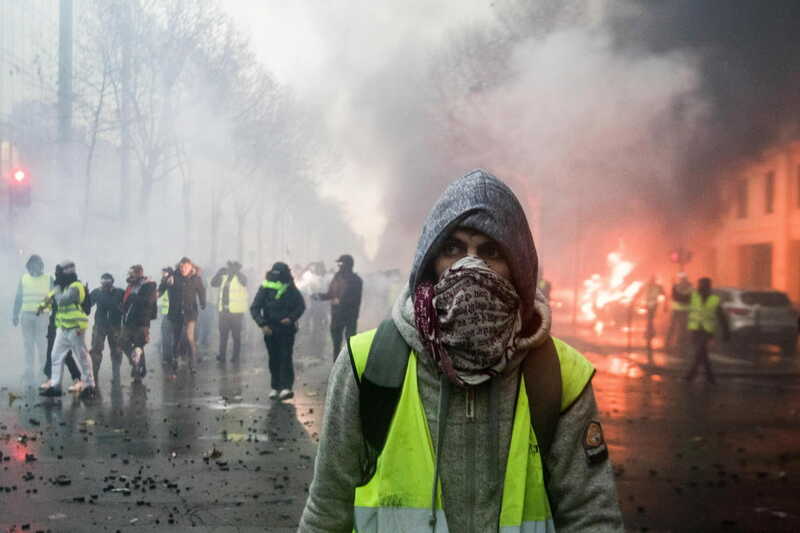 Last Saturday in Paris a cop, told one of us: “If you want to stay alive, go home.” His chilling words simply echo the violence that all governments are prepared to use when they feel like the people have become ungovernable. Saturday 15 December, ACT 5 this time it’s intergalactic, block everything (especially French multinationals, symbols of the French state and banks in your territories).